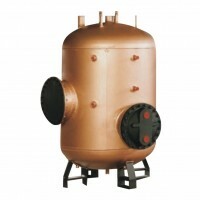 Thermex Hot Water Calorifiers are made to order to your specification. Storage capacities up to 50,000 litres are available. 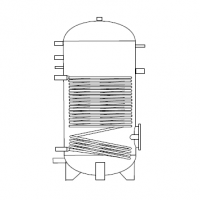 Thermex Hot Water Calorifiers are fabricated from heavy gauge steel and are suitable for a maximum working pressure of 3.5 bar on the secondary side and 5 bar on the primary side (coils or heater batteries). They are tested to 1.5 x maximum working pressure. Calorifiers are water heaters and storage tanks that are fired indirectly ie the heat source is not contained within the tank but fed from another source. 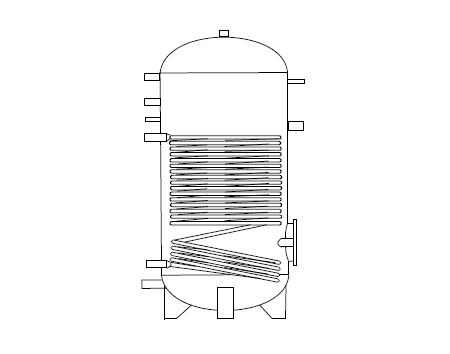 The water is stored in the tank and heat is transferred via one or more heat exchanger coils which contain hot liquids (water or solar fluid). Heat is not generated directly within the calorifier so, it relies on an external heat source such as a boiler or solar collectors. Liquid is heated externally then fed to the heat exchanger coil which in turn heats up the water contained in the storage tank. 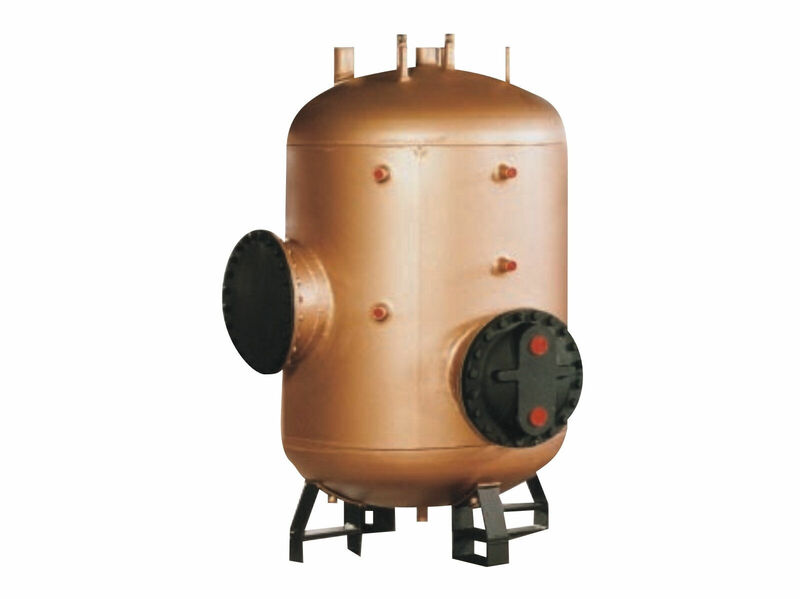 Thermex hot water calorifiers provide hygienic hot water, by using specially designed copper U-Tube heat exchangers. The calorifier will use the primary side hot water as an indirect heating source and will transfer energy to the cold water side. Electrical heaters can also be used with Thermex hot water calorifiers either as backup or to meet peak demand.